iStockphoto.com licensed to Lon Kilgore. When people go to a gym, who are they expecting to work with? 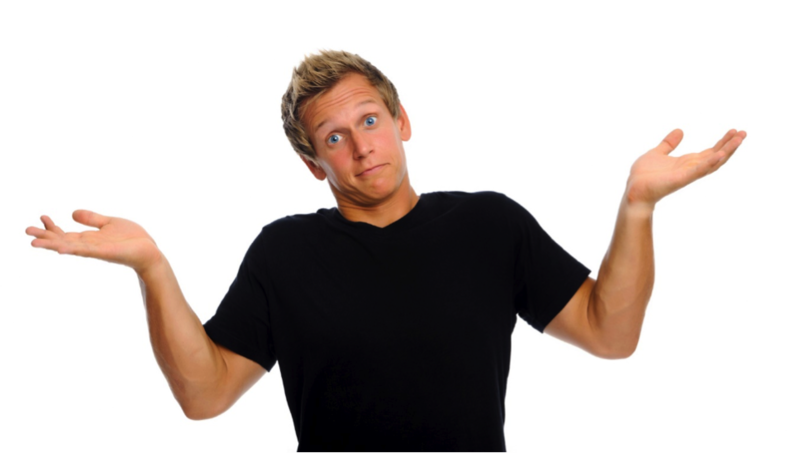 When someone programs and supervises exercise for a customer in the gym, what do we call that person? When we evaluate the training curriculum for different names used for exercise occupations, are they different in intent and content? What is the scope of practice for the varying occupational names in the industry? Let’s keep this simple, relatively, by examining the names used by the public, academia, and the government to identify people who deliver fitness training. Plumber, electrician, barber, each of these occupational names provides an instantaneous recognition of what those in that occupation do. The name of an occupation or profession is important as it affects public recognition and informs proposed government legislation. But ask someone on the street if there is a difference between a personal trainer, a fitness trainer, a personal fitness trainer, an athletic trainer, a group exercise instructor, a strength and conditioning specialist, a health fitness specialist, an inclusive fitness trainer, an aerobics instructor, an exercise physiologist, a health coach, and any number of other names used by fitness and academic institutions (often to describe the same worker). At best the public or a politician might suggest there might be a difference, but they likely cannot articulate any meaningful definition of any of these occupational titles. “Instruct or coach groups or individuals in exercise activities. Demonstrate techniques and form, observe participants, and explain to them corrective measures necessary to improve their skills. Excludes teachers classified in 25-0000 Education, Training, and Library Occupations. Excludes “Coaches and Scouts” (27-2022) and “Athletic Trainers” (29-9091).” There are 241,000 workers currently employed under this classification with the primary employers being recreation industries, civic/social organizations, and schools. “Instruct or coach groups or individuals in the fundamentals of sports. Demonstrate techniques and methods of participation. May evaluate athletes’ strengths and weaknesses as possible recruits or to improve the athletes’ technique to prepare them for competition. Those required to hold teaching degrees should be reported in the appropriate teaching category. Excludes “Athletic Trainers” (29-9091).” There are 211,760 workers currently employed under this classification with the primary employers being schools, recreation industries, academia, and civic/social organizations. “Evaluate and advise individuals to assist recovery from or avoid athletic-related injuries or illnesses, or maintain peak physical fitness. May provide first aid or emergency care.” There are 22,400 workers currently employed under this classification with the primary employers being academia, clinics, hospitals, recreation industries, and schools. “Assess, plan, or implement fitness programs that include exercise or physical activities such as those designed to improve cardiorespiratory function, body composition, muscular strength, muscular endurance, or flexibility. Excludes “Physical Therapists” (29-1123), “Athletic Trainers” (29-9091), and “Fitness Trainers and Aerobic Instructors” (39-9031).” There are 6,600 workers currently employed under this classification with the primary employers being hospitals, clinics, and physician offices. These definitions seem to lump apples and oranges. And only two out of the four exercise-related occupational definitions from the Bureau of Labor Statistics include reference to the term “fitness,” implying that the worker’s efforts reside in the area of client fitness. Those two occupations are athletic trainer and exercise physiologist. Specifically athletic trainers “evaluate and advise individuals to maintain peak physical fitness” as one of the four duties listed. Exercise physiologists “assess, plan, or implement fitness programs that include exercise or physical activities such as those designed to improve cardiorespiratory function, body composition, muscular strength, muscular endurance, or flexibility” as the full description. This is an interesting observation as in actual practice both occupations have primary duties in rehabilitation of injured or diseased populations. Within the descriptions of the other two occupations, coach and fitness trainer there is no mention of fitness. Rather, these occupations are said to “instruct or coach groups or individuals in the fundamentals of sports” or “instruct or coach groups or individuals in exercise activities” with the intent to improve skill (sport or exercise). Is it not odd that these two occupations, where delivering fitness improvement is as central as teaching exercise skills, do not have fitness clearly indicated in their descriptions? NATA Athletic Trainer – “health care professionals who collaborate with physicians to provide preventative services, emergency care, clinical diagnosis, therapeutic intervention and rehabilitation of injuries and medical conditions.” (NATA Terminology page). Note that athletic trainers take great pains to communicate that they are not personal trainers. On their website they specifically state “Athletic training is often confused with personal training. There is, however, a large difference in the education, skillset, job duties and patients of an athletic trainer and a personal trainer. Athletic trainers provide physical medicine, rehabilitative and preventative services.” They propose to deliver medicine, not fitness. One thing seems to emerge from the differing definitions coming from the ACSM. There are six differing names of occupations that all deliver similar outputs. They just deliver exercise and fitness to different populations, based on the presence and severity of disease. Personal Trainers and Group Exercise Instructors work with disease-free individuals. 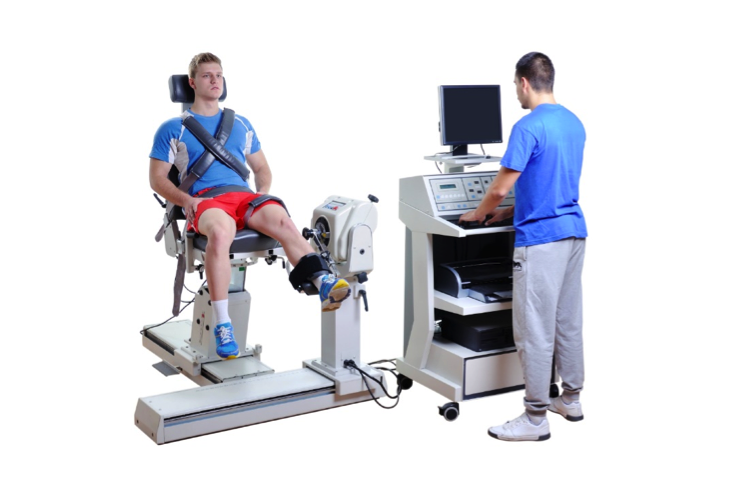 Exercise Physiologists work with disease-free individuals and those with diagnosed but managed disease states. Clinical Exercise Physiologists work with those with or at risk for developing cardiovascular, pulmonary or metabolic disease. Registered Clinical Exercise Physiologists work with individuals with chronic disease. This stratification is not reflected in any government definition nor does the government, the ACSM, nor the NSCA share common terminology and definitions. So it is clear that these organizations, who are inextricably linked with academia, and who portend to represent their membership effectively, promulgate definitions that do not match those of government agencies. If these organizations cannot effectively lobby to change, or have ignored the need for change in the definitions used by the government, can they be trusted to accurately represent personal trainers in larger and impactful issues? Have they lost connection (or ever had one) with those working in the trenches of fitness delivery? Although these groups claim to represent the profession of personal training, do they? The ACSM certifies just over 5% of all active personal trainers (BLS “fitness trainers and aerobics instructors”). 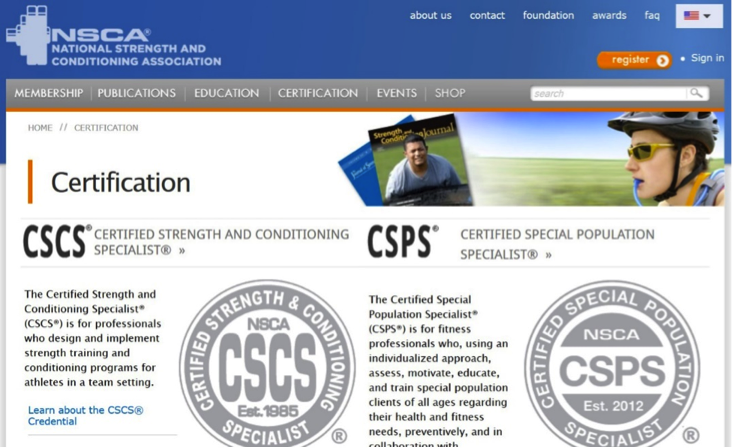 The NSCA states that they currently certify 40,000 individuals in their four certification paths. If it can be assumed that, as with the ACSM, approximately half of the certificates held are for personal training, then the NSCA represents just over 8% of all active personal trainers. The ACSM stipulates in their certification system that the only knowledge requisites for becoming a personal trainer or group exercise instructor working with healthy populations is to have a high school education, a current CPR card, and pass their written test. The NSCA similarly has such criteria. 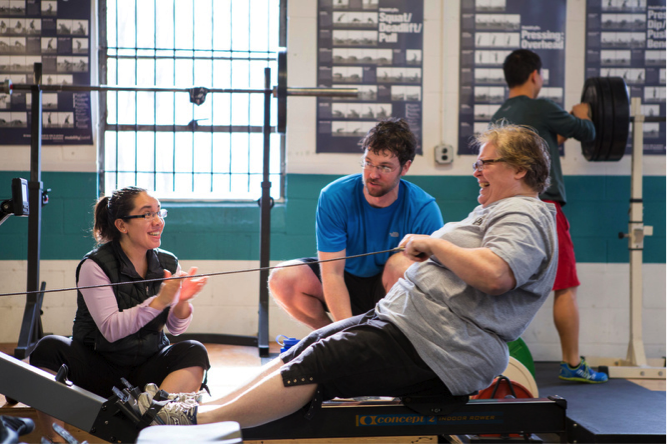 Both organizations do not require any education, prior experience (volunteer or paid), or demonstration of skill to become a bona fide personal trainer. It should be intuitive to anyone that to do a job correctly, there must be training that precedes a worker commencing that job. A fry cook at a chain burger joint undergoes didactic and practical training before they produce their first burger or fry for a customer (this is well known to even our children). So it should be intuitive that personal trainers, an occupation that attends to non-diseased and non-injured customers, does require education that establishes knowledge and tangible skills relative to delivering fitness. But how much? 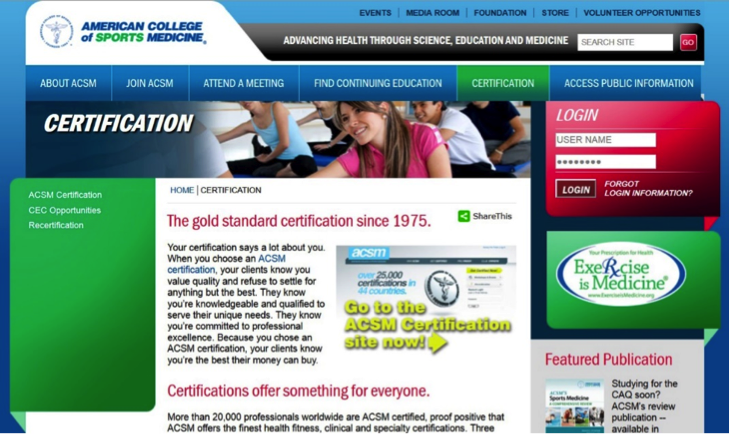 At one point in recent history, the ACSM required a spectrum of educational preparation. None required for Personal Trainer; an associate’s degree required for Health/Fitness Instructor (a now defunct certification) dealing with healthy individuals and those with disease but that are medically cleared for participation; and a bachelor’s degree for its clinically based occupational certifications. This is not a bad idea. The more complex the nature of fitness delivery, by virtue of the level of disease dealt with by the trainer, the more education required. Vocational education for personal trainers who work with healthy populations should be deliverable in less than a single year of commercially-delivered vocational training, on-the-job training, or college-delivered instruction. This duration is independent of what exercise system is being taught as long as the curriculum has direct relevance to the occupation of personal training. The addition of working with pathological populations requires further specialized training delivered via additional college or university education. This concept seems to be coherent with the categorization of fitness trainers and exercise physiologists by the US Bureau of Labor Statistics. The occupational designations used by the Bureau of Labor Statistics would suggest that personal trainers are not health care workers. The identifier 39- indicates that the occupation is a “Personal Care and Service Occupation”. This suggests, in the government’s view, that delivering fitness in the gym is a service. Under this broad category we also find carnival and casino gaming supervisors and workers, projectionists, ushers, ticket takers, embalmers, barbers and cosmetologists, concierges, flight attendants, child care workers and others. Virtually all of the occupations included under this identifier do not require university education, rather they require short to medium term commercially-available training. Photo Credit – Helen Jeffrey. Exercise physiologists and athletic trainers however are listed as health care workers, falling under identifier 29- comprised of “Healthcare Practitioners and Technical Occupations.” They are different from personal trainers in duties performed in the workplace and in the equipment used as part of those duties. The link to health and medicine of this category (29-) is apparent as it includes dentists, dieticians, optometrists, pharmacists, physicians and surgeons, nurses, and a variety of therapists, medical laboratory technicians, and paramedics. The large majority of occupations under this identifier deal with diseased and injured populations and require university degrees, multiple in some instances. The fact that there are so many names being used to describe people doing essentially the same jobs has made the exercise-related occupations appear as an occupational miasma full of fly-by-night people who make things up as they go. The fact that recognized organizations claiming to represent and benefit the fitness industry, such as the ACSM and NSCA (and others), have such a fractured and biased approach that pays lip service to exercise and fitness in favor of physical activity and health indicates that they have failed to represent nearly 90% of all active fitness workers. A government that uses names and definitions different than those used in the real world, a public confused by different occupational titles delivering similar services, and professional and academic organizations who fail to recognize and attend to the problems of nomenclature and defining scopes of practice, create a dangerous circumstance of lack of identity for those who authentically and effectively work in producing fitness outcomes in their clients. Without identity there cannot be effective representation and development of the field. ← El ACSM permite que Gatorade distorsione la ciencia. Using this same logic, the American Medical Association which has less than 15% of medical doctors as members, does not represent and benefit the medical community. Good point. However, its sort of a moot point. Medicine is one of the original three learned and licensed professions (having been such for centuries), does not suffer from a lack of name recognition, has a defined scope of practice, the organizations that represent physicians are not trying to gain recognition as a profession, and the AMA is populated and operated by physicians. Personal training arose as a pseudo-occupation relatively recently, in the late 19th and early 20th century (Professor Atilla, Professor Paulinetti, Eugene Sandow, Louis Cyr, and others could be hired to train the social elite who could afford their services), the point of the article was that there is an unattended lack of name recognition, the scope of personal training as an occupation is currently debated, and the ACSM and NSCA are not populated and operated by personal trainers.